you are going to want to tell everyone you know! With childhood obesity, cancers of all kinds, colds, annual influenza viruses and overall weakened immune systems being such challenging health issues these days, there is no wonder that the green smoothie is gaining such popularity in the Western World. 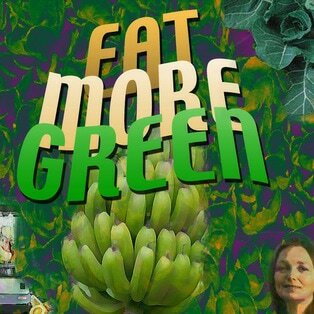 The Green Smoothie revolution is sweeping the nation and the world right now because so many people want to have better health. When you begin to experience how good you feel drinking green smoothies, you are going to want to tell everyone you know! 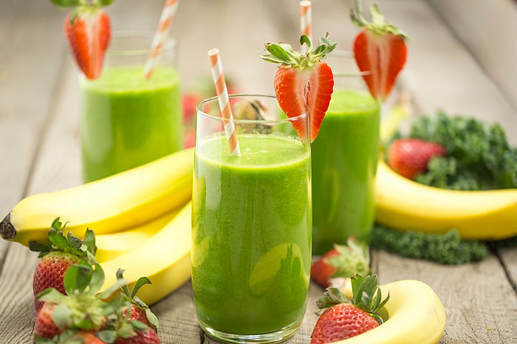 With childhood obesity, cancers of all kinds, colds, annual influenza viruses and overall weakened immune systems being such challenging health issues these days, there is no wonder that the green smoothie is gaining such popularity in the Western World. You will see how easy it is to plan for, prepare and drink these delicious, healthy green smoothies with a simple blender and a trip to your local produce department. The best part about the green smoothie is that when you start drinking them you are going to have changes in your health that will amaze you and keep you coming back for more. Imagine drinking down scrumptious green smoothies that have more fruit and leafy greens in them than most people get in their diet in a week. When you give your body the nutrition it needs your health will naturally improve every day. Simply by adding a great tasting and easy to drink green smoothie to your diet, made of only fresh fruits, leafy greens and pure water, you can experience states of physical, mental and emotional health that you may never have imagined. 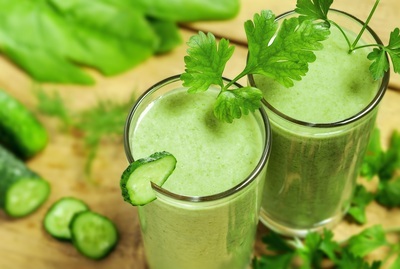 Make these healthy green drinks on a daily basis for increased good health, vitality, glowing skin, colon health and the many other positive health benefits you will reap from the green smoothie lifestyle. Some Health Benefits of Green Smoothies to Improve your Health! So here are some of the green smoothie benefits you will experience. 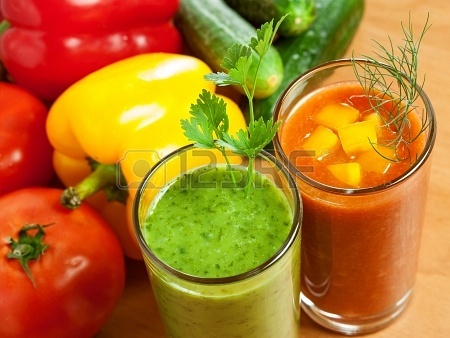 Drinking freshly made smoothies is a great way to increase your fruit and vegetable intake everyday. Diet advisers and nutritionists recommend 3 serves of fruit and 5 serves of vegetables daily! Remember just one big handful of spinach or kale and some fruit for your green smoothie will exceed your daily requirements. How many servings do you get? There are many reasons to increase your intake of fruits and vegetables. Eating more fruit and vegetables means you’re less likely to develop diseases such as heart disease, diabetes, cancer and Alzheimer’s. The health benefits of green smoothies exceeds the benefits of just eating your greens as the body absorbs the nutrients from a green smoothie much faster and more efficiently, it’s almost like a transfusion of green goodness. They provide your body with nutrients essential to fighting off infections and giving you the energy you need to bounce through your day. Start making yourself healthy green smoothies because they make eating fruit and vegetables easy! You’ll be on your way to a healthier diet in no time. Smoothies are preservative and artificial color and flavor free! Some of these chemicals commonly found in foods nowadays are known to cause allergies and adverse effects in many people. Children are especially susceptible with many behavioural problems linked to food additives. So go all natural and try a healthy green smoothie made fresh at home! Smoothies are great because they can be drunk any time of the day, for breakfast, with lunch, as a snack, for dessert. They’re so versatile! So the next time you’re craving chocolate biscuits or other sugar filled snacks, drink a smoothie instead. They’ll really help you stick to your diet plan because you’ll find your hunger decreases and your energy increases, for longer – now there’s something a chocolate biscuit never achieved! Making your own smoothies at home can actually be cheaper than buying commercial products – and most definitely healthier! Making your own also means you can change the recipe to suit your tastes. So save some money and blend up a smoothie. Many fruits and vegetables are naturally sweet so you can reduce your sugar intake and still enjoy what you’re drinking. A great benefit for people dieting because some of these smoothies taste great so giving up the chocolate won’t be as hard! Blending yourself a smoothie also means you know exactly what is in it. There are no nasty surprises in the form of extra sugar or carbohydrates. And no need to read labels, the label on a bag of spinach should say spinach! a punnet of blueberries should say blueberries on the label. You control exactly what you put into your body! Your waistline and health will thank you for it. Why should you drink Green Smoothies daily? Reasons to drink it daily. Because we all know that giving our bodies large amounts of leafy greens and fresh fruits will only have us feeling better. Where else are you going to get this much fiber, vitamins and minerals from an unprocessed source that your body can totally digest and use? The popular American diet of processed, packaged foods, breads, pastas, cheese and meats, creates over acidity in the body. Healthy Green Smoothies help alkalinize the body and bring our over acidic systems back into balance. When we get the nourishment that our bodies need, our cravings for junk foods diminish and we tend to eat less food. By eating less our bodies can take a break from constantly trying to digest unhealthy foods and we end up getting lots of our natural energy back. So you are eating less, getting much better nutrition by drinking Green Smoothies, your body is coming back into a healthy balance and you end up loosing the unwanted weight you have been carrying. Kids love Green Smoothies! They are sweet, come in crazy colours that are fun to drink, fill them up and give them the energy they need to play all day. Changing unhealthy eating habits is so much easier when you simply ad healthy Green Smoothies to your diet. You will begin to crave healthier food naturally rather than having to force yourself to stop eating the guilty pleasures you have enjoyed for years. Have you ever tried eating a whole head of Spinach, a basket of blueberries, a banana and two apples in a day? That’s a lot of chewing. Blend all that up and sip it throughout the day or drink it down in a few minutes, your choice. Imagine the health your body can achieve with that kind of nutrition every day. The myth that the best protein comes from animal flesh is quickly changing. A cow in a natural environment eating green grass all day long and grows to hundreds of pounds. Where do they get their protein? Yes, from all those greens! Healthy Green Smoothies hold an abundance of protein that is easier for the body to use than from meat. Really this should be titled regularity is essential. Irregularity and constipation can be a real pain in the rump. Green Smoothie a day will help keep it all moving in the right way. Plus you get all the benefits of fresh, balanced, fiber filled fruits and veggies that doesn’t come in a jar of powder. The choice is yours. Drinking a healthy green smoothie is a great way to get the day started. When prepared with fruit and leafy greens and the right ingredient ideas and you can get all of the important nutrients, antioxidants and vitamins to keep you productive for most of the day. Follow these 10 healthy green smoothie ideas and you will be on the fast track to optimum health and vitality. Use frozen fruit instead of adding ice. Frozen fruit will give you that creamy, cold, refreshing beverage without diluting the taste. You can use fresh fruit and freeze them for one or two hours before making your smoothie drink. Start with a good base. base gives you that thick and smooth consistency that is desired in a green smoothie. Banana is the base that I use most often. They are naturally sweet and creamy. You could also use avocados, ripe pears and naturally sweetened yogurt. Combine fresh and frozen. Adding only frozen fruit to your green smoothies will produce something that is more like a sorbet than a smoothie. with the combinations of fresh and frozen until you find the texture that you enjoy the most. Changing up your recipe ideas stops the green smoothie experience from becoming boring. Use a powerful blender. If you use a blender that has a low powered motor and flimsy blades will not give you good results. Your smoothie will have chunks of frozen fruit or ice. people recommend blenders that cost $300 to $900 like the ones made by Vitamix or Blendtec, but I found that the average smoothie blender has the power to produce great results and costs only $100 or so. Add vegetables to your smoothies. 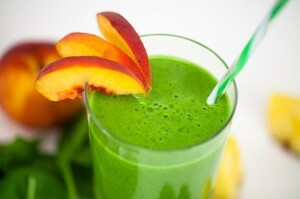 Adding vegetables to a green fruit smoothie is an excellent way to get the daily recommended servings of vegetables. Concerned about the taste? 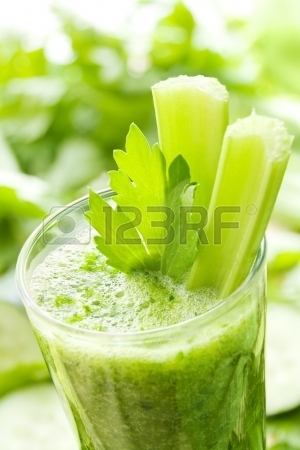 vegetables in a powerful blender hides their flavor, making a healthy and delicious drink. Some vegetable smoothie ideas can be spinach, kale, or leafy green veges. The right smoothie has to have everything blended perfectly for the way you like it. Everyone is bound to like their green smoothies a little differently. So, for people who enjoy the delectable icy green beverages on a daily or regular basis, your best bet for constant satisfaction is to compare the best blenders for smoothies. Then you can play with your mixtures, test different smoothie recipes and get the right texture for your taste. You know exactly what goes in, the quality of the ingredients and that nothing mysterious or questionable is being included in the blended mix. Green smoothies can be the most delicious additive on the road to a slimmer and healthier you, so you might as well do it right and do it yourself the first time by choosing from the best green smoothie blenders in Australia the perfect match for your needs. There are several things to keep in mind when picking a green smoothie maker. Power is definitely a big concern. You want any ingredient of your choice to be able to go in and become just as blended as all the rest. You need a smoothie blender with 450-500 watts of power. Keep it on the higher end if you are including ice, which most people will eventually want if they make a lot of smoothies. So, in conjunction with the power is the ice-crushing ability, you will thank yourself later when the hot Aussie summers come around and your delicious, nutritious smoothie is ice cold. If you go for a standard 16 speed blender or smoothie maker, ice crushing should be at least 2 of those speeds. Just be sure to look closely at all of the speeds to ensure your needs will be met. Size is important, especially if making them for a meal, a round of frozen drinks, or just to save time later. At least 5-6 cups should fit in the container. ​You want to be able to fill it up and then blend it all together in the pitcher, without jamming ingredients in or overflowing the jug. An ice opening in the top makes it much easier to blend and change the texture to your liking, so a full examination of the blender pitcher is a good idea. If there is a model out to look at, check the weight and make sure it comes apart easily for cleaning. If you are using perishables and/or dairy, you need to be sure to clean every part after every use to prevent souring or rotting bits. It also helps to prevent rust, if it can all dry thoroughly. Some other things to keep in mind are glass or plastic. A glass smoothie pitcher will weather a dishwasher and daily use better than plastic. Also, if you are in a shared or family space and up early or late making smoothies, you definitely want to check on the volume. You should be able to find the best blender for green smoothies that will meet your needs, tastes, budget and waistline. Freeze leftovers. If you make a larger smoothie recipe you can freeze the leftover by putting it in a plastic cup and into the freezer it goes. Remove from the freezer and let thaw for a couple of hours. great way to enjoy a smoothie at work is to bring a frozen cup and have it thaw until ready to consume. Green smoothie recipe ideas are only restricted by your imagination. 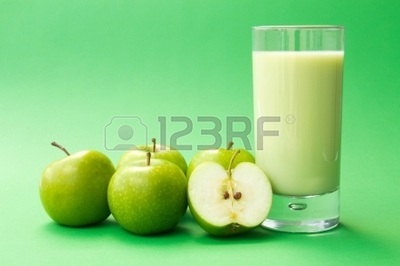 Start by blending the fruit first with ½ to ⅔ of the water to make a base, then add the greens and blend up until smooth. I use the ratio of about 50% fruits to 50% veggies and you can vary that to taste. It has to taste good for you and the kids or what’s the use right? piece of fruit of your choosing. I’ve tried a handful of grapes, a few guavas or a pear and they’ve all been good. to ½ a small bunch of spinach, leaf, stalk and all. Blend the fruit with some of the water first to make the base. Then tear up the spinach and fit it in till it all blends adding water until you have the consistency you desire. 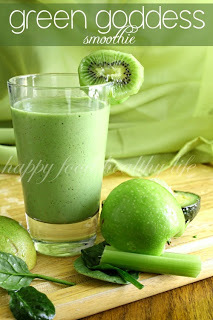 And there you have it, a delicious green power smoothie for aiding weight loss! Blend fruit (avocado is a fruit) in your trusty Vitamix blender and 2/3 the water until smooth. Tear up the greens and fit them into your blender with the rest of the water. Blend up good until leafy pieces are gone and enjoy your creamy green papaya delight. These easy healthy green smoothie recipes can be blended with almost any smoothie blender. Keep it simple and get started with what you have. Nutrients essential for dental health are lacking. Preferred cooked foods are highly acidic and leach calcium reserves from the teeth. Cooked foods trapped in the mouth ferment, readily forming plaque. Raw fiber, “Nature’s Best Toothbrush,” is lacking. Gums are not given proper stimulation. Decreased dental exercise results in dental abnormalities, especially development of crooked teeth. Cooked food is most often fragmented/refined/deficient. Cooked food is most often highly chemicalized. Cooked food is invariably prepared in utensils that give off toxic metal/plastic/paint particles. Cooked food is most often addicting and promotes overeating. Cooked food is toxic and energy expensive to digest. Digestion of cooked food leads to enervation and Toxemia. A steady diet of cooked foods result: Toxemia could set in... leads to chronic, degenerative disease. 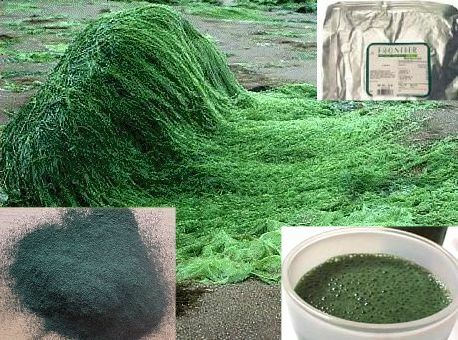 is a rich source of nutrients, containing up to 70% high quality protein (all eight amino acids in balanced amounts, as well as high amounts of non-essential amino acids), B complex vitamins, gamma-linolenic acid, carotenoids, iron and numerous other minerals. 1. Broccoli soothes adrenal stress. The walnut-sized adrenal glands sit atop the kidneys and are responsible for regulating the body’s stress response by producing an array of hormones, including cortisol. Two recent studies revealed that vitamin C supports adrenal health by speeding up recovery following emotional and physical stress. The first study followed marathon runners and found that their cortisol levels dropped back to normal faster if they consumed vitamin C before, during and after a race. A second study, published in Psychopharmacology, found that people taking vitamin C felt more relaxed in high-stress situations, and their cortisol levels returned to normal more quickly. Because the overproduction of cortisol leads to adrenal fatigue, and eventually exhaustion if allowed to continue, it’s helpful to nourish your adrenal glands by eating broccoli. 2. 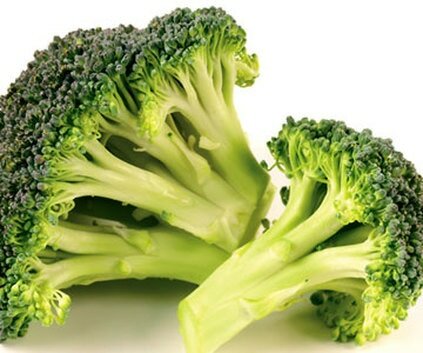 Chromium in broccoli boosts energy. The trace mineral chromium is used by the body to manufacture glucose tolerance factor (GTF), which helps break down blood sugar. Chromium aids in the metabolism of glucose by improving the sensitivity of the insulin receptors on the surface of every cell, thereby reducing insulin resistance. Steady blood sugar means not only steady energy but also a respite for your adrenal glands from responding to spiking glucose from high-glycemic-index (GI) simple carbohydrates, which also deplete chromium. Broccoli is loaded with dietary fiber, the roughage that makes you feel full and satisfied without gaining weight. 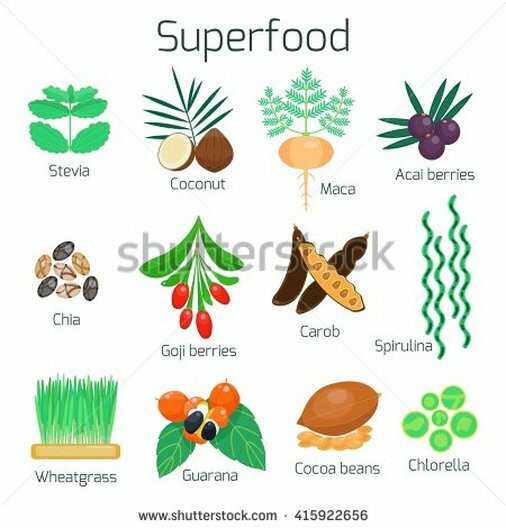 Foods that are high in fiber help slow the metabolism of glucose, control blood sugar levels and reduce adrenal damage. High-fiber foods such as broccoli also support weight loss. A reduction in body fat, especially around the midriff, an area that attracts stress weight from high levels of cortisol, helps in lowering insulin resistance and improving blood sugar metabolism. 4. Dark green means great nutrition. When selecting broccoli, choose stalks with the darkest color, because that means it has the most beta-carotene. Beta-carotene is a strong antioxidant that fights free radicals and boost the immune system. Eat broccoli raw (if your digestion can support it) or lightly cooked, and don’t forget the stems and leaves. The stems are not only sweet and mild-flavored, they’re much higher in fiber than the broccoli florets, and the leaves are the richest source of beta-carotene. Other members of broccoli’s cruciferous family include cabbage, kale, radish, chard, Brussel’s sprouts, bok choy and more. You'll love these 200 recipes from Victoria Boutenko, the author of Green for Life and 12 Steps to Raw Foods. Interview with raw food expert Victoria Boutenko. Part 2 of an interview with raw food expert Victoria Boutenko. With subtitles in several languages.